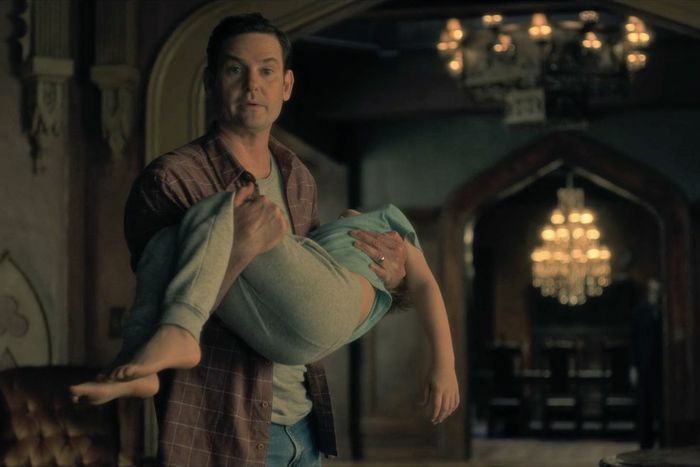 The Bent-Neck Lady may be the most terrifying creation in Netflix’s The Haunting of Hill House, but that particular piece of nightmare fuel is only part of the show’s bigger horror aims. 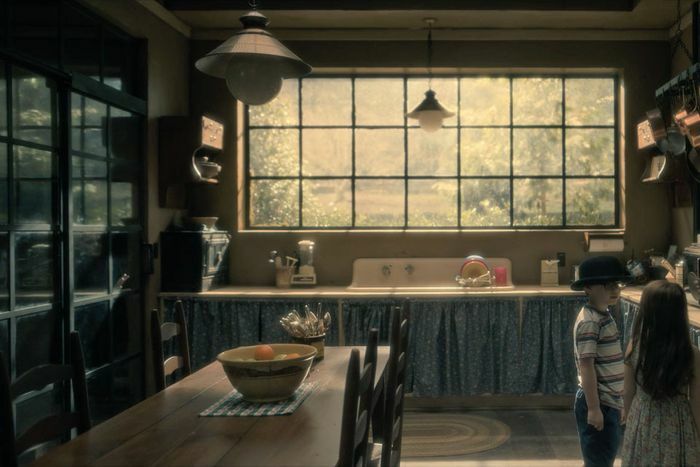 The narrative of Hill House weaves in and out of past and present, bringing viewers into a world where hidden ghosts are not only a part of everyday life, but able to appear in any moment as they haunt the Crain family. Creepy specters and imposing ghouls lurk in the background throughout the show, often at times and in places where you barely notice their presence. 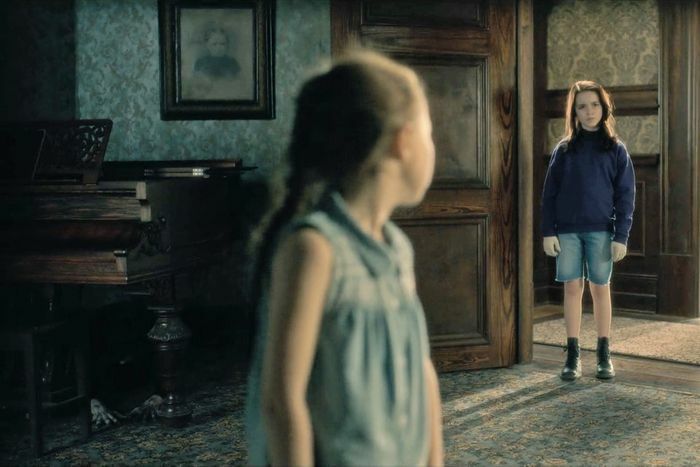 Series creator Mike Flanagan, who adapted Hill House from Shirley Jackson’s famous novel, teased the existence of these horror Easter eggs in an interview with Vulture. “We actually hid dozens of ghosts throughout the series, in plain sight, in the deep background of shots. We don’t call any attention to them, but they’re there. If you look in a door frame, or under the piano, or behind a curtain in a lot of otherwise ordinary scenes, you’ll see someone there,” he said. 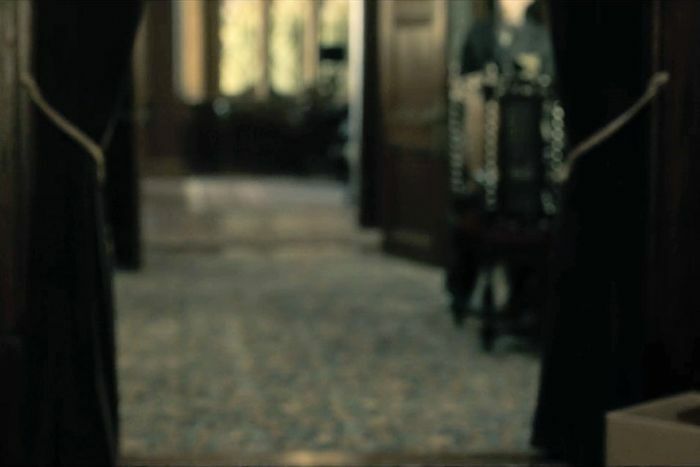 Now that viewers have had time to watch (and rewatch) the show, they’re spotting tons of those hidden ghosts sprinkled throughout Hill House, often just lurking in the background as characters talk or the camera pans through the mansion. 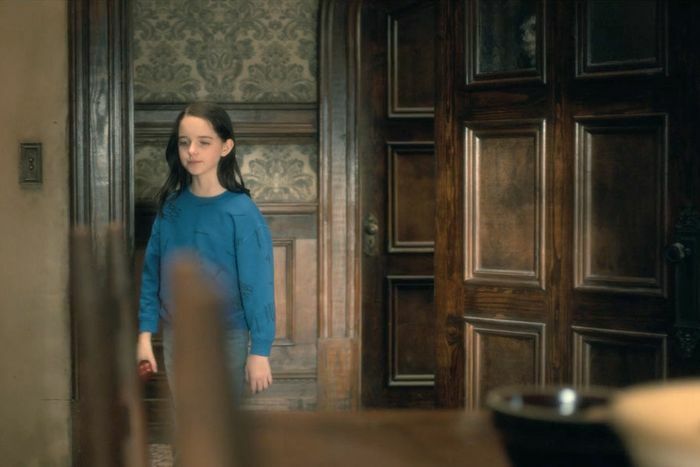 You probably didn’t consciously see a vast majority of them, but perhaps they had a subconscious impact on that eerie feeling maintained even when Hill House gets closer to This Is Us than The Conjuring. Here are the 29 hidden ghosts we’ve spotted so far, with a nod to our fellow ghost-hunting sleuths at Screen Rant, the Mirror, and IGN. 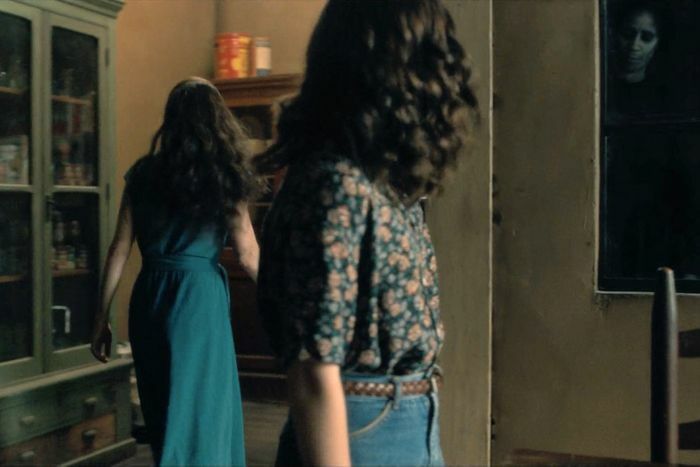 Before we’ve even met a member of the Crain family or seen an obvious ghost, The Haunting of Hill House presents us with an image in which something is barely perceptibly wrong. 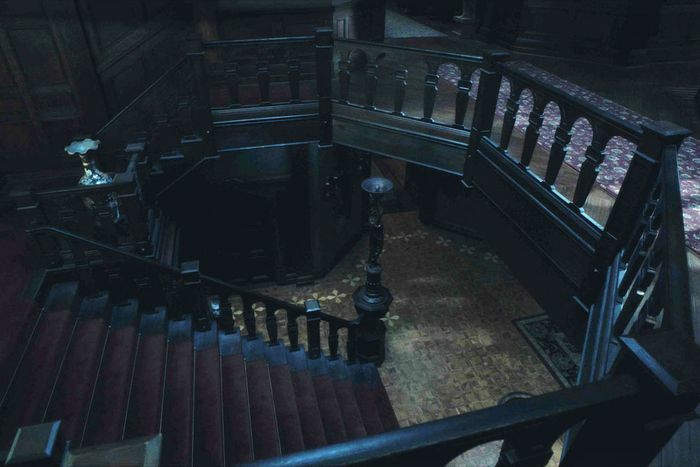 Look carefully between the stairs as the camera pans through the house in the first minute of episode one and you’ll see a face looking between the rails. Some of Flanagan’s smartest moves are what could be called fake-outs. 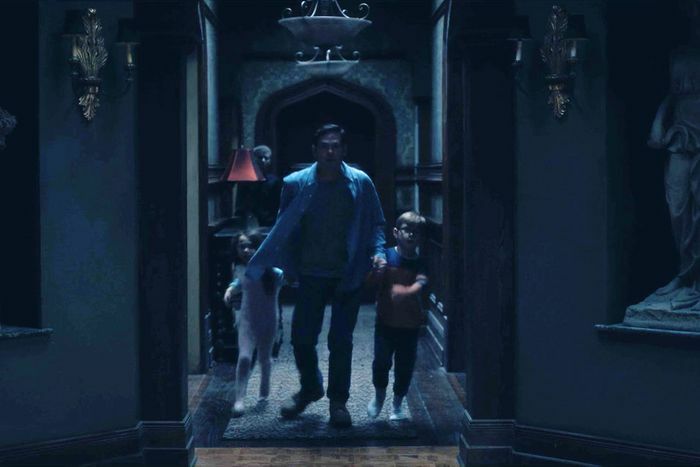 While Steven and his father are panicking about whatever is in the hall turning the knob, they don’t bother to notice the figure standing behind the poor child. As Steven and his father flee the house, they don’t have time to turn around and see that they’re not alone in the foyer. Look behind the stairs and you’ll see several figures watching them run. They almost resemble the masked characters from The Strangers. This is another one of those hauntings that comes when the Crains don’t even seem to sense that there’s anything wrong. As Olivia interrupts Mrs. Dudley speaking to Steve about the gospels, someone (or something) is eavesdropping from behind the clock in the room. 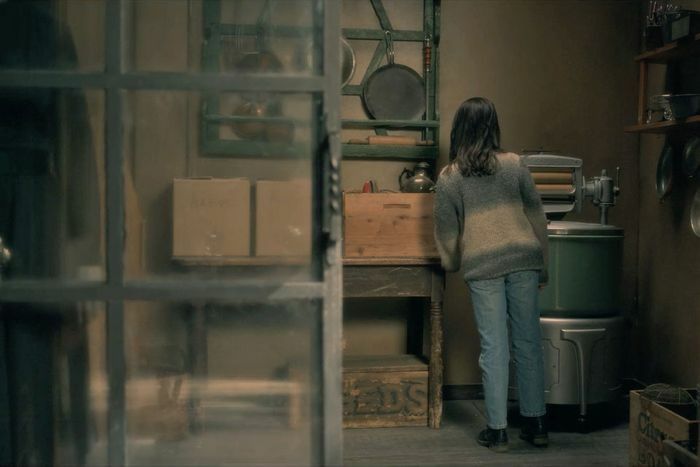 In the same scene, when Flanagan cuts to a reverse shot of Olivia talking to Shirley, there’s a figure in the kitchen behind her that’s not quite right. 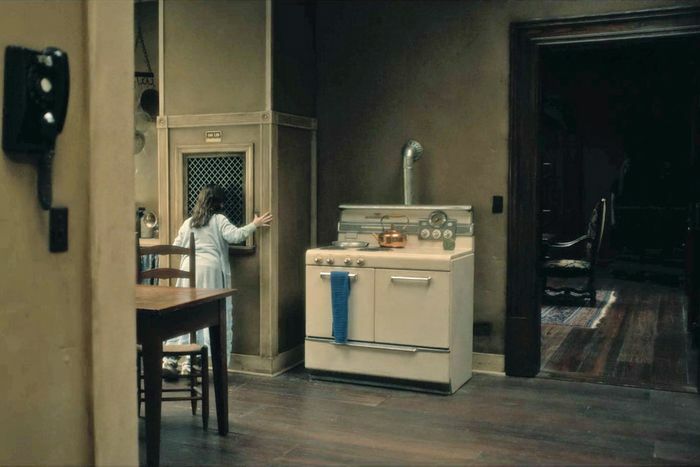 The ghosts are always watching, including when Theodora walks into the kitchen and catches Nellie and Luke examining the old-fashioned communication system. Look at the door to the right of Theo in the upper left panel, which is now somehow clear and includes the face of what looks like a very tall child. Creepy. Can They Even See Them? 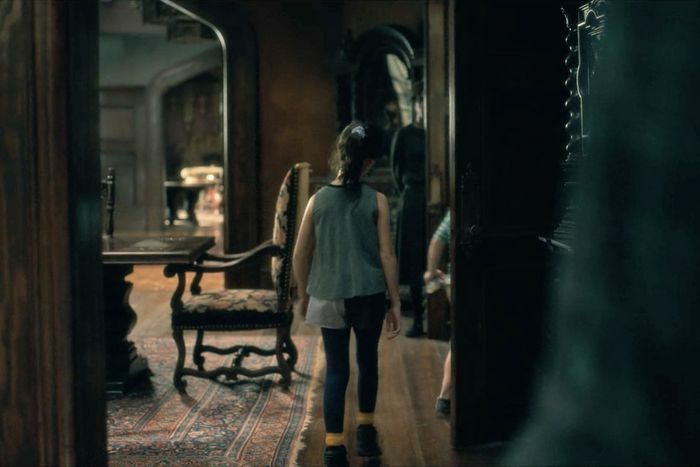 This instance raises the question of whether or not the Crains can even see these observant figures, as there’s a ghost standing right in front of Luke and Theo while they walk across the dining room. Look to the right of Theo’s body and you’ll see half of what looks like a matronly figure standing around a corner in the room. As Theo is looking at the dumbwaiter, there’s someone lurking in the dining room. This one is kind of hard to see, but look at the chair back, then move your eyes barely to the right and you’ll see what is clearly an arm. Follow it up to a face. Try not to scream. As Theodora hunts for the ladder to the basement that no one knew existed, there’s someone watching her from the corner of the kitchen. Look through the glass door to Theo’s left and you’ll see the distinct figure. Is the same specter that watched her in the dining room? 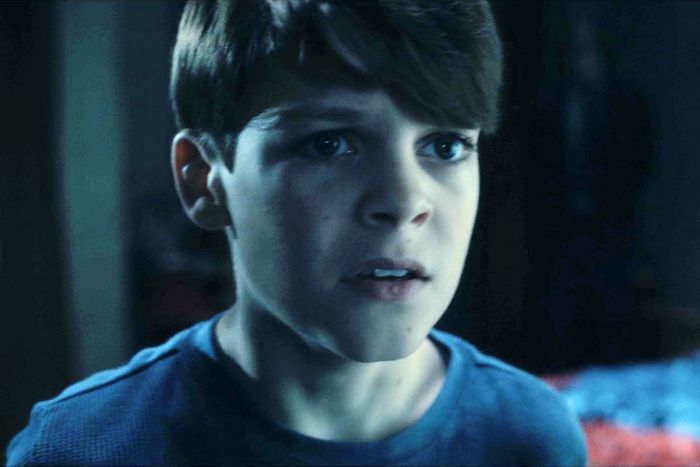 The thing that lurks in the basement that attacks Luke on the dumbwaiter may be the least hidden ghost in all of Hill House, but it’s gone when Theo goes down the ladder. 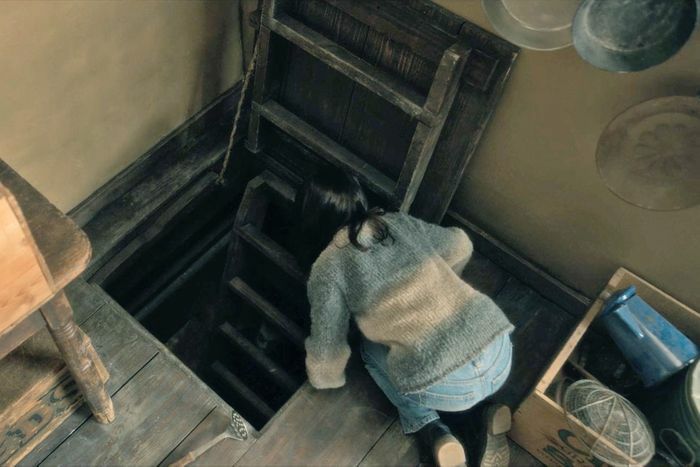 Perhaps that’s because it’s actually hiding under the ladder: Look down a few rungs as Theo opens the hidden passage. 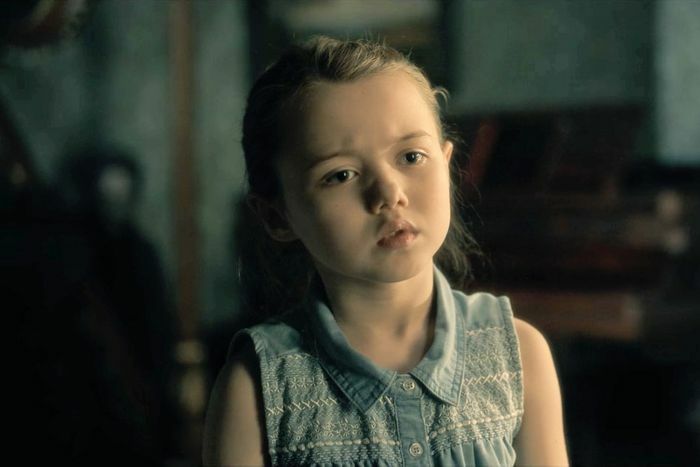 The most haunted episode of Hill House continues with something lurking in the living room behind Olivia. This is one of the creepiest by far. 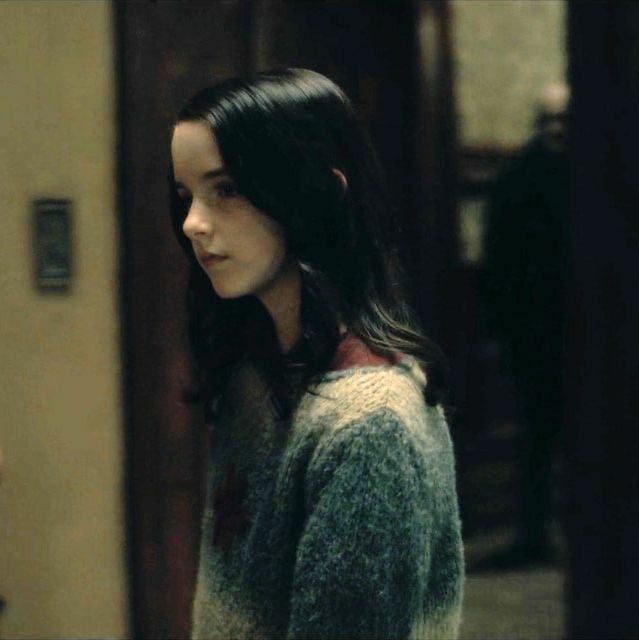 As Theo walks through the house, there’s what is unmistakably a bald man just hanging out in the hallway behind her. You’ll need a really big TV to catch this one, which may be further proof that Flanagan is just trying to enhance a mood more than provide something easily discovered. If you pause this scene and look through the two archways behind Olivia, you’ll see a face way in the distance, perhaps waiting for its chance to strike. Yes, some of these hidden ghosts are more hidden than others. This is one that it almost feels like the Crains should see, as there’s clearly a man standing behind the red lamp when Steven flees with Luke and Nell. Of course, this is also one that Flanagan very clearly wants you to see, placing it behind the only splash of color in the frame. Is this the same man behind the lamp? We can’t see his head so it’s hard to tell, but there’s a figure behind the chair in the room behind Luke and Nell just over eight minutes into this excellent episode. Hugh and Olivia have a tender moment as they dream of their perfect home, which will most definitely not be Hill House. Not if the blonde ghostly figure down the hall by the window has anything to say about it. This is a tough one to spot even if you pause it. As Nell and Luke are getting coins stuck in the communication system, there’s a face looking back at them in the glass cabinet across the kitchen. ﻿Remember those Strangers-esque figures lurking under the stairs when Steven and his dad were fleeing in the first episode? They’re back as Luke descends the flight, as you can clearly see shadowy forms to the right in the archway. 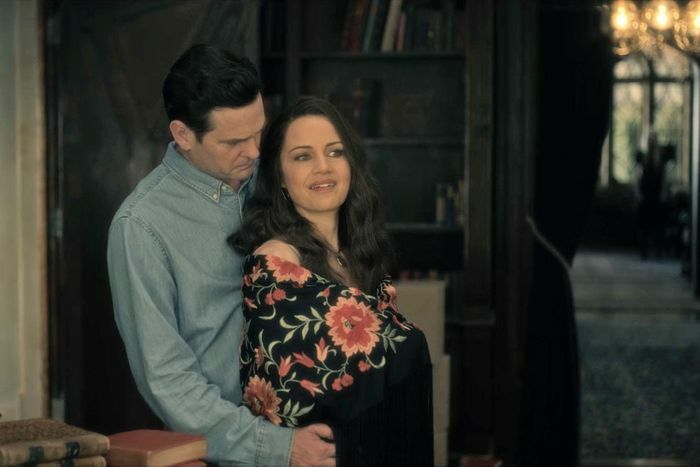 The Haunting of Hill House uses a number of Flanagan regulars, including Carla Gugino, Henry Thomas, and his wife Kate Siegel, but there’s another one that you probably didn’t spot. 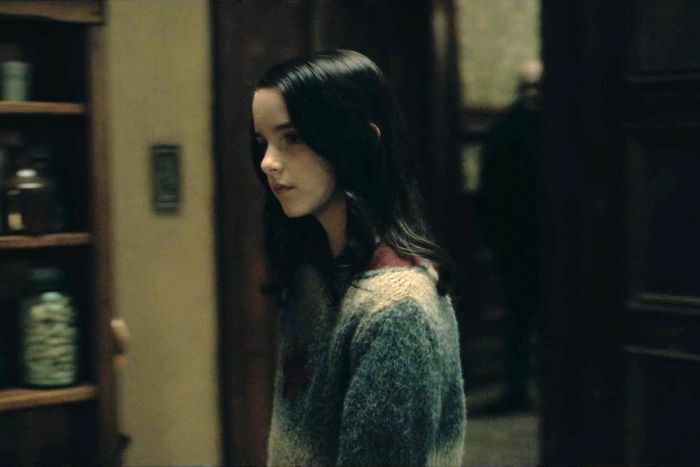 The haunting figure behind Liv in the shot above is reportedly played by Bruce Greenwood, who played Gugino’s husband in Gerald’s Game, Flanagan’s 2017 adaptation of the Stephen King novel. This is one of the most terrifying hidden ghosts. Remember when Nell got yelled at for drawing on the wall, which we all know she didn’t actually do? As Theo comes into the room, something is hiding under the piano. You can see its hands. Eeeek! 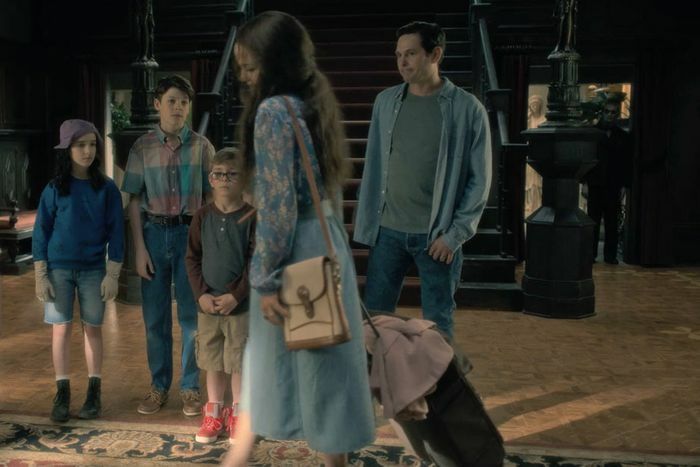 The fifth episode of The Haunting of Hill House is a heartbreaking hour that reveals what led to Nellie’s demise. Perhaps she was doomed from the moment that something was watching her from behind in this chilling shot. 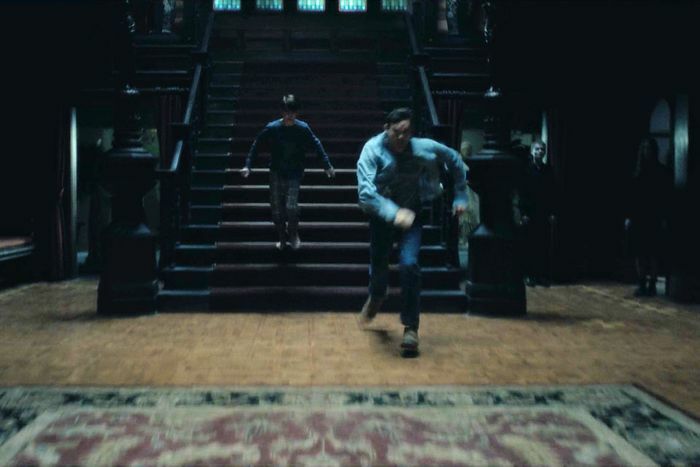 The sixth episode of The Haunting of Hill House takes a break from the hidden ghost hijinks — probably because it was such a remarkable technical achievement that there was no time for Easter eggs — but the hidden figures reappear about 38 minutes into “Eulogy” as something watches Hugh from a room behind him. This hidden ghost is terrifying, especially because it’s perhaps the closest yet one of them gets to making an actual impact on the story. Look behind the cops who come to investigate the body found in the wall and you’ll see what seems to be the blonde ghost — or at least her hand. Remember the blonde figure who has watched Hugh a few times? 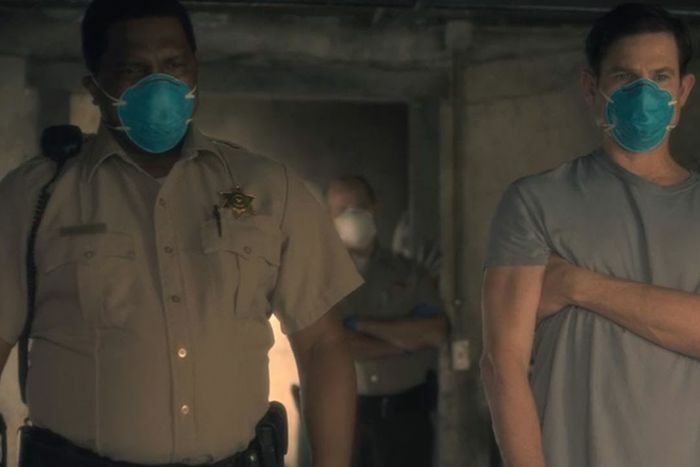 She’s baaaaack, and this time, we get a good look at her as Hugh examines the mold in the basement. A ghostly woman staring from a corner of a dark room? Creepy. 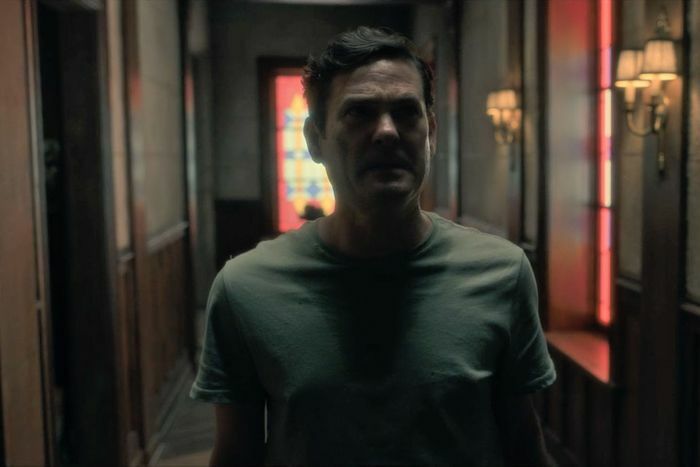 As Hill House hurtles toward its ending, Flanagan sets the tone right at the beginning of this penultimate episode, including a figure a few rooms behind Hugh in the opening scene. Look on the right side of the archway — someone’s there. What happened under those stairs? The foyer of Hill House may be its most subtly haunted room. 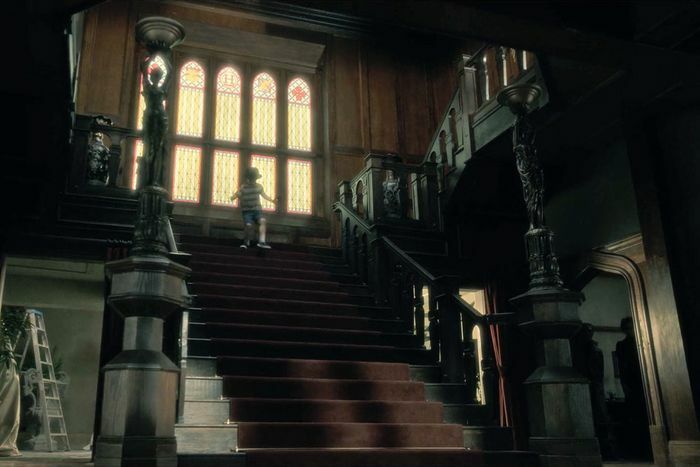 If you look to the right of the stairs as Liv is leaving, one of the figures is back. 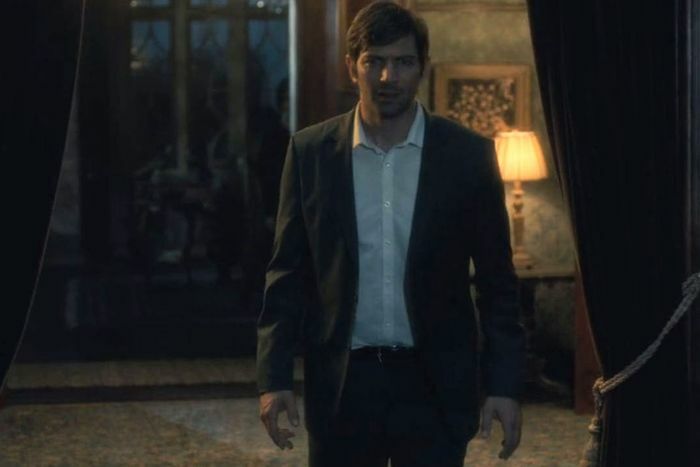 When an adult Steven returns to the house in the final episode, we get another shot of a half-hidden ghost standing in the doorway behind him.